Each year in the United States, we celebrate Black History Month during the month of February. As I was preparing to write this informative piece about African American Solo Moms, I realized it would be a good time to go back and look at why we are celebrating this holiday and how Black History Month started. Honoring the words of Ford, I have made an informative list of several African American Solo Moms who have made major contributions to our society throughout the decades. 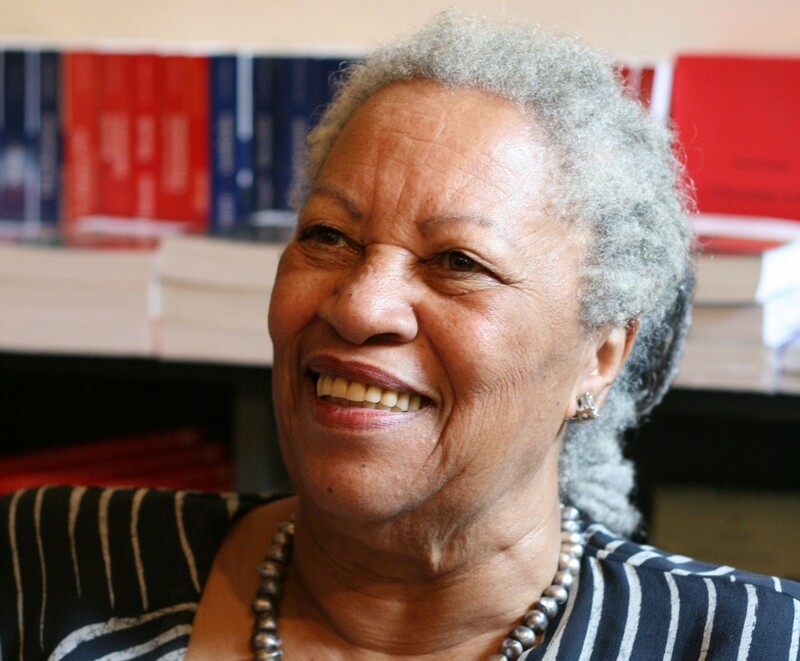 Toni Morrison is a novelist, editor, and professor. Her work is known for its epic themes and rich characters. In 1988, she won the Pulitzer Prize for Fiction and the American Book Award for her novel Beloved, and in 1993, she won the the Nobel Prize in Literature. In May 2012, Morrison was awarded the Presidential Medal of Freedom. Morrison often described what it was like to live in an integrated neighborhood as a child. “When I was in first grade, nobody thought I was inferior. I was the only black in the class and the only child who could read,” she told a reporter from the New York Times. Over time, Morrison’s work became world renowned, and she became a professor at Princeton University in 1989. She received her Nobel Prize in Literature while at Princeton and became the first African American woman to be selected for the award. In 1994, Morrison established a special workshop at Princeton known as the Princeton Atelier and has branched out into children’s literature and opera in recent years. Her most known book is Beloved, rated the best novel of the past 25 years by the New York Times Book Review. She is also the mother of two children. The wife of Martin Luther King, Jr. from 1953 until his death in 1968, Coretta Scott King was an author, activist, and civil rights leader. She was fearless in the years after her husband’s death, taking on leadership roles for racial equality, and women’s and LGBT rights movements. She founded The Martin Luther King, Jr. Center for Nonviolent Social Change (aka, The King Center) and worked tirelessly to make her deceased husband’s birthday a national holiday. She has been referred to as the “first lady of the civil rights movement” and was the mother of four children. Yolanda Griffith signed with Iowa State University at the age of 19 to play basketball. She was, at the time, a high school all-American with her future laid out in front of her. She quickly found out her life was taking a turn when she became pregnant her freshman year at the university. “I had never pictured myself being a mother; all I ever pictured was being a basketball player.” She is now the reigning MVP of the Women’s National Basketball Association (WNBA). To reach her goal, Griffith had many obstacles to overcome, but her hard work and dedication to both her daughter and craft can be seen as a tribute to all Solo Moms. Griffith always made sure her daughter came first in her early years and often had to take an alternative path to stardom by giving up opportunities—such as the Olympics and several scholarships—to stay close to her. Even with her choice to stay in Florida to provide a stable early childhood for her daughter, Griffith found her way to the top. Available in the 1999 WNBA draft, she was selected by the Sacramento Monarchs, and she went on to become the league’s MVP and recipient of the Defensive Player of the Year Award. Maya Angelou was a civil rights activist, poet, and author. She published several books of poetry, seven autobiographies, and three books of essays. Angelou received dozens of awards and more than 50 honorary degrees. She is best known for her autobiographies: the first, I Know Why the Caged Bird Sings (1969), is likely her most famous. Angelou was known as a spokesperson for the black community, especially for African American women. After moving to New York, Angelou met Martin Luther King, Jr. and became very active in social rights. One of her large contributions was organizing Cabaret for Freedom, a musical revue to benefit the Southern Christian Leadership Conference in 1960. Angelou continued to work with many leaders to make progress in civil and black rights in America throughout her long career. She had one son whose birth she went on to describe in her first autobiography. Sara Breedlove, known as Madam C. J. Walker, was an American entrepreneur, the first female self-made millionaire in America, and a philanthropist. She made her fortune developing and marketing a line of beauty and hair products for African American women. Walker’s husband died when her daughter was two years old. She taught and trained other black women in areas such as budgeting, grooming, and women’s independence to help them build their own businesses. She gave lectures on political, economic, and social issues. In 1917, Walker organized the Madam C. J. Walker Hair Culturists Union of America and joined the National Association for the Advancement of Colored People. Many scholarships and awards are named after Walker to honor and help women following in her footsteps. Her legacy remains through some national historic landmarks, including Villa Lewaro in Irvington, New York. Do you know more Solo Moms in today’s African American community who are making change within our society? Which Solo Moms do you admire?